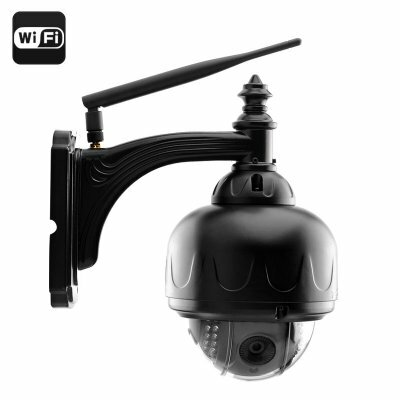 Successfully Added EasyN 1BF Outdoor IP Camera - 1.3MP CMOS Sensor, 960p Resolution, H.264 Video Compression, Night Vision, Plug + Play to your Shopping Cart. 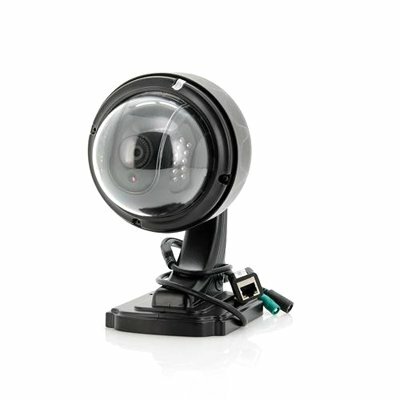 When the light goes down and the atmosphere becomes darker, this camera can still record as it has IR-Cut technology as well as 22 LED lights with a 15 meter IR distance. Get a closer look of the action with the camera’s 355 degree horizontal and 90 degree vertical rotation angle. Easy to set up as this IP camera has plug and play technology, plus you can download the available apps for Android iOS devices. The camera does everything I hoped it would and it was very easy to program, and thank goodness for that because I am computer stupid. I am so impressed with the picture quality even at night that I am going to buy another one. Also I couldn't believe how quick I got it. It only took a few days to get it. It is so easy to control from my phone and iPad and this makes you feel more secure when away from the house. If you are in the market for a security camera,this is the one. The body is black and a white one would have looked better in my application. Very good I liked a lot. Very good material. The on or off control is missing to turn on some light. The camera and well-made, built entirely of aluminum with black paint applied. Also good internal mechanism, quick in moving from one to the other visual and silent. The optics and excellent sharp image in every situation both day and evening grazzie 25 LED Ultraviolet. In my use the ethernet connection is used, so I have not tried the wifi. The fow viedo and great at 720p in real time without blocks. The configuration is simple and thanks to dhcp enabled and also to onvif v.2.1. All the features of this camera is equal to the camera: EasyN H3-186V apparte the lack of audio and microphone that are not installed on the motherboard. My usage is combined with the program BlueIris, for setting video and used the H.264 protocol rtsp, and for controlling PTZ use 100% compatibility with EasyN H3-186V, I hope that this information may be useful to others . The only and lack the ability to power the camera trammite the LAN connection via PoE, and the power supply 5 Volt, very low for a PoE injector, after a couple of meters of cable LAN does not work anymore. I had to use 12 volt converter to 5 volt, 2 Amper, changing a battery charger for USB Phone. I hope that this information may be useful to others .